A team of Yale researchers discovered that specialized RNAs called piRNAs guide epigenetic factors to numerous sites throughout the genome of the fruit fly Drosophila, where these switches work to turn genes on or off. If a genome is the blueprint for life, then the chief architects are tiny slices of genetic material that orchestrate how we are assembled and function, Yale School of Medicine researchers report February 21 in the journal Developmental Cell. In the past 20 years, scientists have discovered that some proteins, called epigenetic factors, traverse the static genome and turn the genes on or off. The staggering number of potential combinations of active and inactive genes explains why a relatively small number of genes can carry out such a wide range of functions. But what guides these epigenetic factors to their target? The answer, the Yale team has found, is specialized RNAs called piRNAs. In the latest study, the Yale team discovered that piRNAs guide epigenetic factors to numerous sites throughout the genome of the fruit fly Drosophila, where these switches work to turn genes on or off. 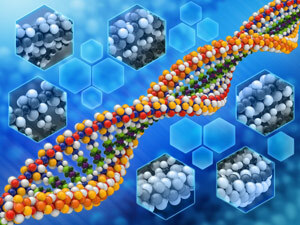 The dramatic change in gene expression patterns found illustrated piRNAs key role in coordinating biological activity. Several types of cancers appeared to be triggered when the wrong kinds of piRNAs guide epigenetic factors to activate the wrong genes. Blocking the action of these piRNAs should become a new opportunity to treat cancers, Lin said. The research was funded by a National Institutes of Health Pioneer Award to Haifan Lin and a grant from Connecticut Stem Cell Research Fund to Lin and former Yale professor and co-author Michael Snyder, now of Stanford University. Be the first to comment on "piRNAs Key Role in Coordinating Biological Activity"